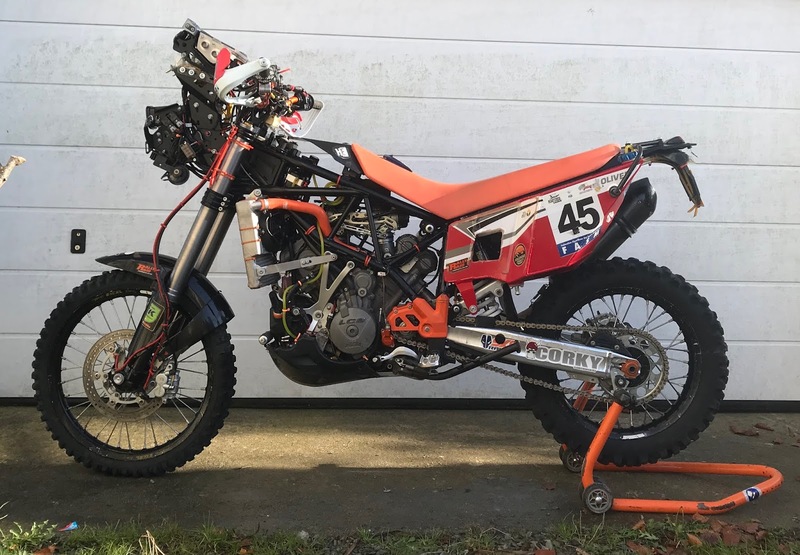 The 9x0RR project is in its simplest terms a modified KTM 950 Adventure using the best parts available from the best companies in the business. If the parts needed didn't exist we custom made. After competing in over 20 international rallies and suffering 3 DNF's due to mechanical failure you learn the importance of being on that start line with the best parts, preparation and support available. Without the skills of these companies involved the 9x0RR project just couldn't happen. Huge thanks. Tillit Suspension - Front suspension rebuild, re-valve and single disc conversion. Version 1.0 was a good starting point and after 4 rallies we know what works, what doesn't, and where to make improvements. The main change in version 2.0 was the relocation of the oil tank. Having the oil tank in the rear resulted in long flow/return lines and an oil cooler that added weight and restricted oil flow. The oil tank was moved to the front of the bike and tested with great success in the Sahari Rally.